Working out is an important part of health and fitness. Not everyone has the time or money to hit the gym, though. Gym memberships can be expensive and finding the time to get by the gym can be impossible. If you’re looking to get in shape from home, maybe you’re wondering what the best way to do that is. Today, we’re going to help you with your fitness journey. We’re going to take a look at some of the best home workout equipment so you can figure out which is the best for you. Let’s get in shape. Getting a treadmill allows you to get in your cardio without having to leave your home. Some people might not live near good running paths. Others might live in an extreme region, or simply a rougher area. In these cases, having a treadmill to run on can be a huge help in fitness. We recommend finding a treadmill that fits your budget and lifestyle. If you’re on a tighter budget, a motorless, folding treadmill is ideal. If you’re looking for the most high-tech treadmill, maybe you’ll opt for a high-end motorized treadmill with various programs. Don’t underestimate the benefits of good, old-fashioned pumping iron. Getting a range of free-weights can be inexpensive if you shop for discount exercise equipment. Alternatively, if you’ve got a bigger budget, you can opt for new, custom-tooled weights for your home. In any event, there are tons of great, muscle-building, fat-burning workouts you can do when you have your own set of weights. These can help you tone up and get into great shape. This might sound silly, but you don’t need to get fancy to get into shape. An exercise mat can make a huge difference in your workout routine. Getting body-resistance workouts, like push-ups and sit-ups, can be a huge help to getting into shape. 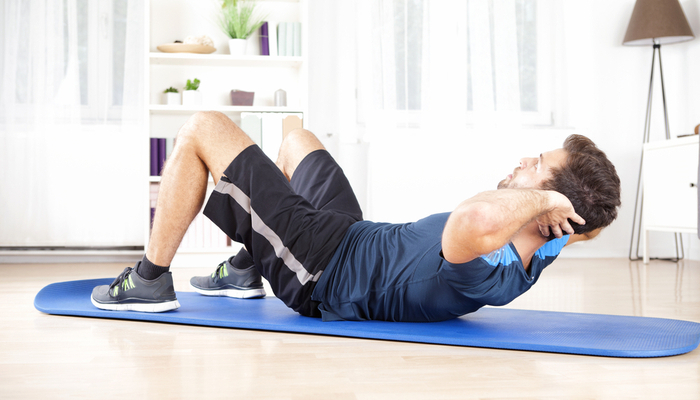 It’s hard to do those kinds of workouts on the bare floor, so an exercise mat is a great purchase for your home gym. Like an exercise mat, a pull-up bar is a great, simple workout tool. Getting in body-weight exercises is a great way to stay in shape. The unique, space-saving design of doorframe workout bars is great for getting in reps of pull-ups or chin-ups without leaving your home. Hopefully these simple, easy-to-get exercise equipment tools help you in your pursuit of health and fitness. Remember to stretch thoroughly before every workout!